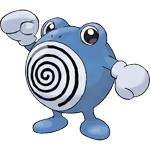 Poliwhirl is the sixty-first Pokemon on the National Pokedex and was introduced in Generation I (Red, Blue, Yellow). 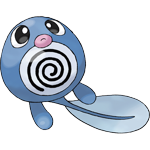 Poliwhirl is a Water type Pokemon. 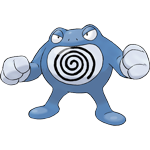 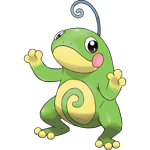 It is a Stage 1 Pokemon that evolves from Poliwag at level 25 and evolves into Poliwrath by using a Water Stone or Politoed by trading while holding a King's Rock (starting in Generation 2).